Though this isn’t the first time these two entities have collaborated, this fresh spin on the adidas Originals ZX 500 is probably one of the most stealth yet bold ones to date. 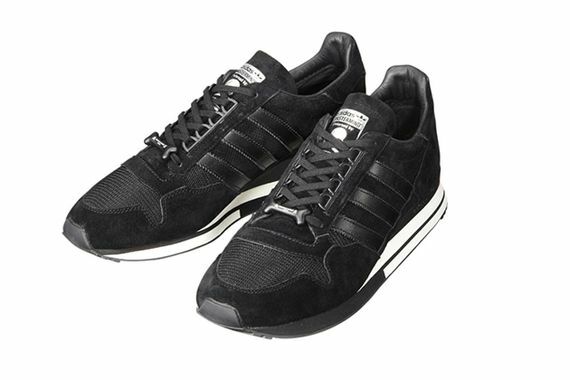 Japan’s own mastermind have managed to heavily brand an all black pair of shoes, something that isn’t all that easy to do. Comprised of an all black suede and mesh construction, these leather accented ZX 500’s feature a mastermind branded tag, unique lace system, and a dog bone lace-lock inspired by mastermind’s own branding. 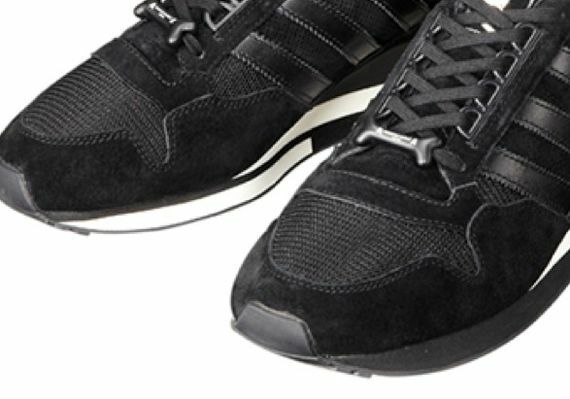 These get some liveliness from the white midsole, but at the end of the day this is still one stealthy pair of adidas’. These are expected to hit stores within the coming days, stay tuned via our Facebook, Twitter and Instagram for the latest. More photos after the jump.